Dunya Mikhail is the author of the new book The Beekeeper: Rescuing the Stolen Women of Iraq, which focuses on women who were captured by ISIS. Mikhail was born in Iraq and now lives in the United States. 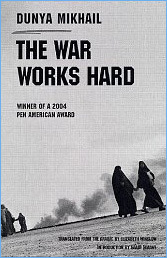 A poet, her other books include The War Works Hard. 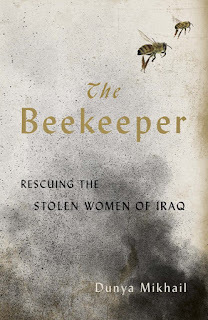 Q: How did you end up writing about Abdullah, the beekeeper, and the women he rescued in Iraq? A: In 2014 when I learned that women were sold, I felt so insulted. I made contacts with friends and relatives back home to ask what on earth was going on. I spoke with Abdullah by chance. I called his cousin who escaped from Daesh. He translated between us because I don’t understand Kurdish. She mentioned that he rescued her. When I called him again to ask another question about her, I learned more about his own story. When I asked him what could I do to help, he said that writing and making the world know about what happened to them is the best help. We agreed that every time he rescued someone, he would tell me their story. Our calls were cut off several times due to the urgency of the other calls he receives from people trying to run away from captivity. So it took us a whole year of speaking on the phone to collect those stories. Q: Were the people you interviewed hesitant to speak with you at first? How did you conduct your interviews? A: A couple of them were hesitant in the beginning but most of them did want to speak about what they went through. Some of them I met in person when I went to Iraq in the summer of 2016 after 20 years of absence. Some of them spoke with me on the phone. Abdullah also told me about how he rescued them. Q: What do you hope readers learn from your book? A: I hope readers learn about the kindness of strangers, not only about the brutality of the extremists. A: I am working on a novel, which is a strange thing to do for me! A: I don’t consider myself a fiction writer. 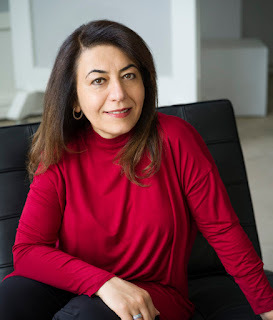 I am a poet who is writing a novel, a particular novel.